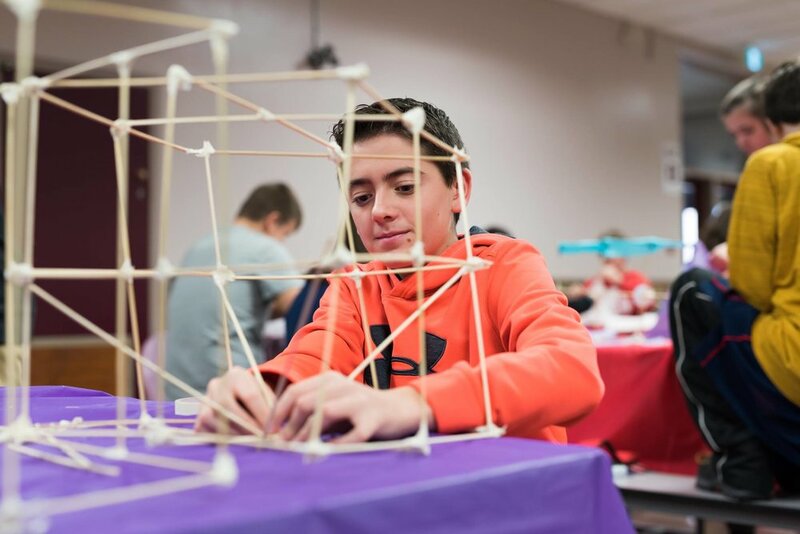 STAY TUNED FOR THE 2019 WORKSHOP SCHEDULE! 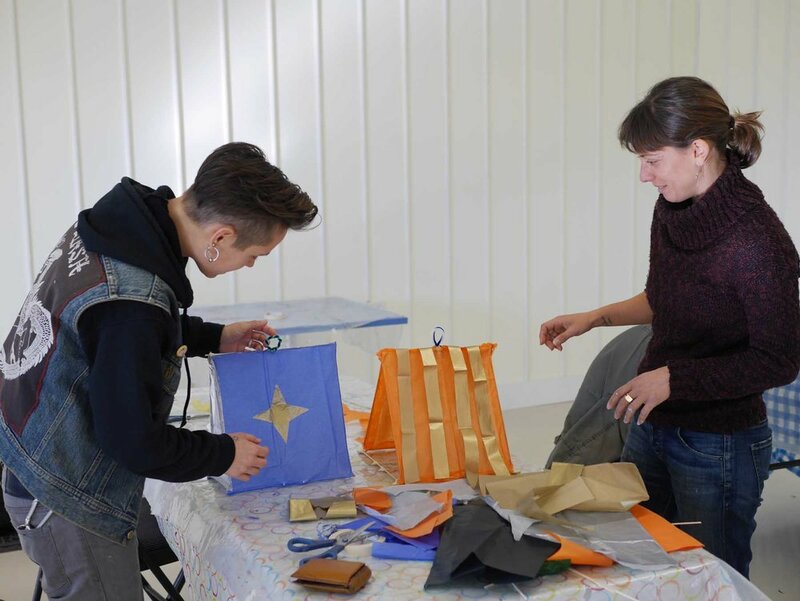 At the glowing heart of our festival are our community lantern-making workshops, a fun and affordable way to explore your creativity in a supportive environment. 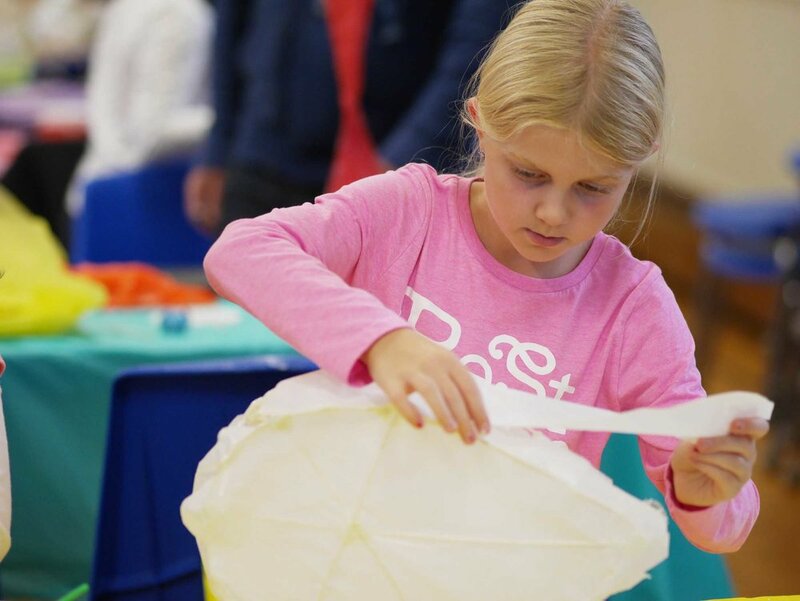 We'll provide all the materials and instruction you'll need to make your very own paper and bamboo lantern. 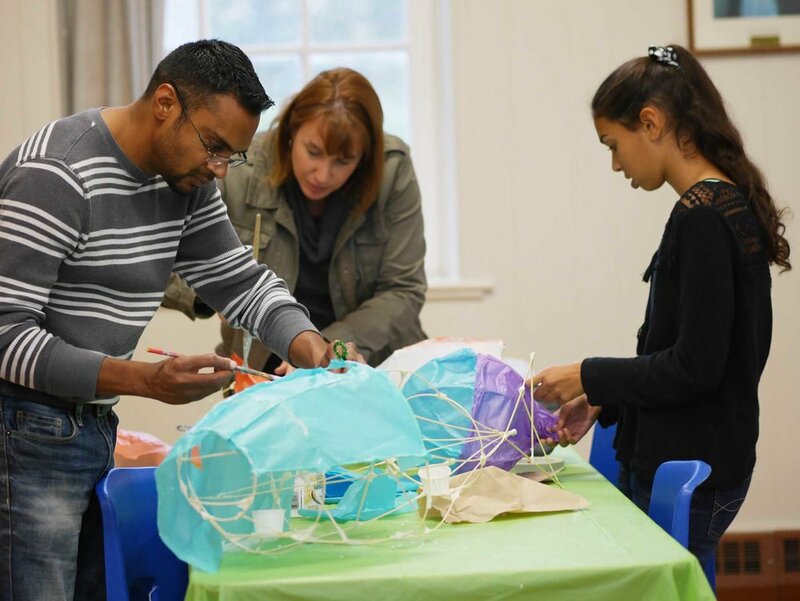 We recommend about 3 hours to make a lantern, and children will require assistance. Unless otherwise noted there is no need to register - just show up! Our mobile workshop can visit your school, home, workplace or community group. Get in touch to book your private workshop. 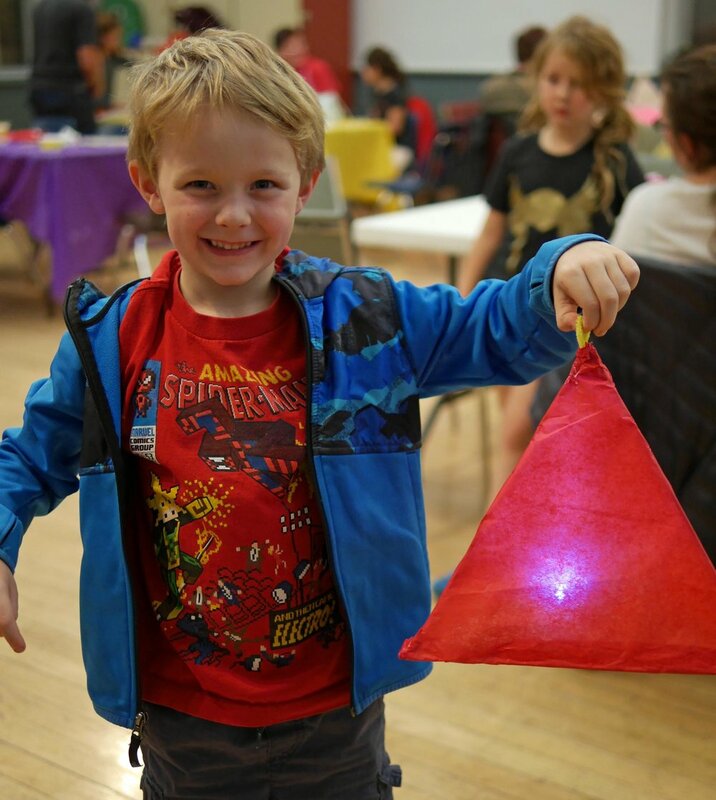 Drop in and make a lantern with us, and have some dinner, too! All are welcome. $10 per lantern or pay-what-you-can, and a free community meal provided by our friends from Food Not Bombs from 5:30-7pm.